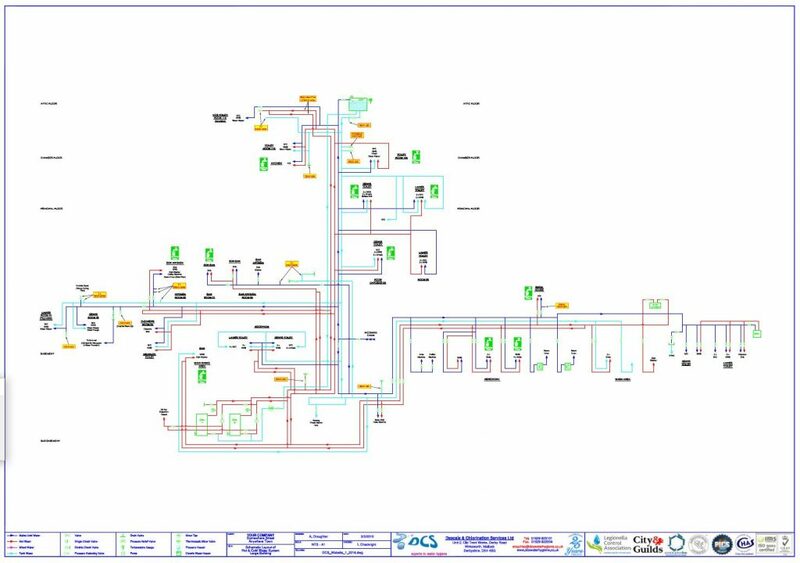 As an integral part of the Risk Assessment, the schematic drawing takes into account the individual nature of each site and considers the system as a whole and not specific sections, including any areas out of use. A schematic drawing acts as a visual tool to accompany the described water system in the Risk Assessment. 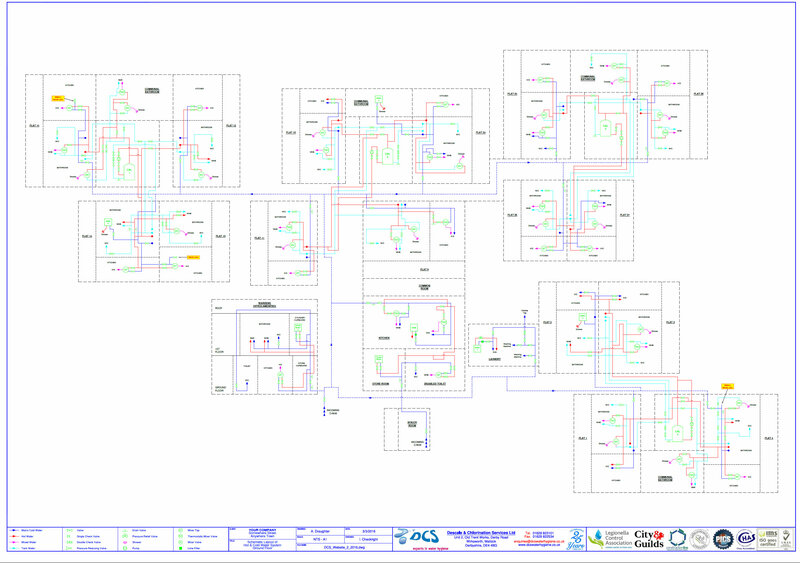 It can however be generated as a standalone document to help understand the layout and positioning of a water system. 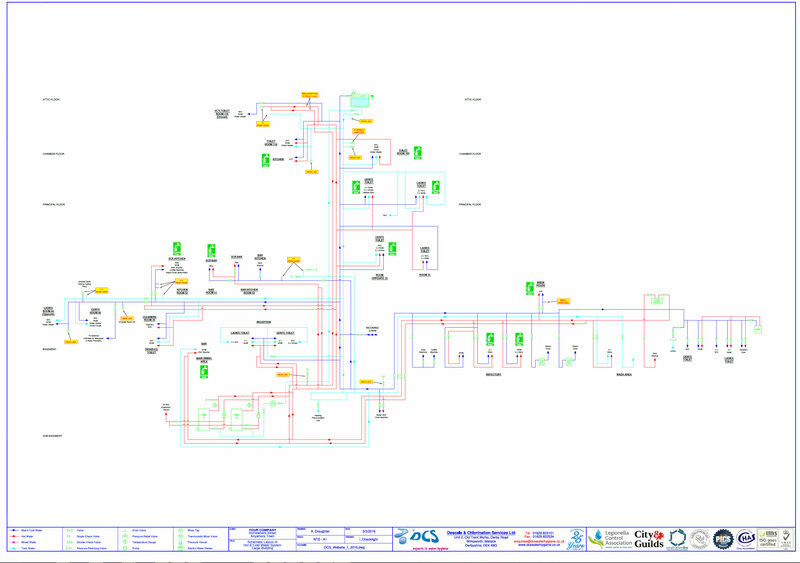 A schematic drawing will enable someone unfamiliar with the water system, or without any specialise training or experience, to understand the relative positions and connections of components and also highlight areas of concern, for example dead legs; these are included as they can create particular problems, i.e. microbiological growth and should be considered for removal. 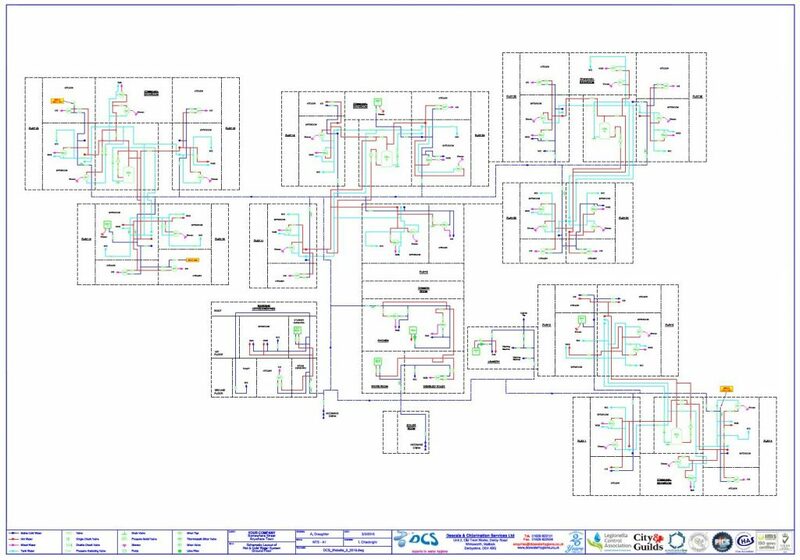 Please do not hesitate to contact us should you require a quote for a standalone Schematic Drawing, or as part of a Legionella Risk Assessment.